How do you follow up the best superhero brawler since Marvel VS Capcom? If Warner Bros. is to be believed, you shove it full of more. Just, more. More superheroes, more supervillains, more stages, more destruction, more flashy super moves… And they’re not wrong. 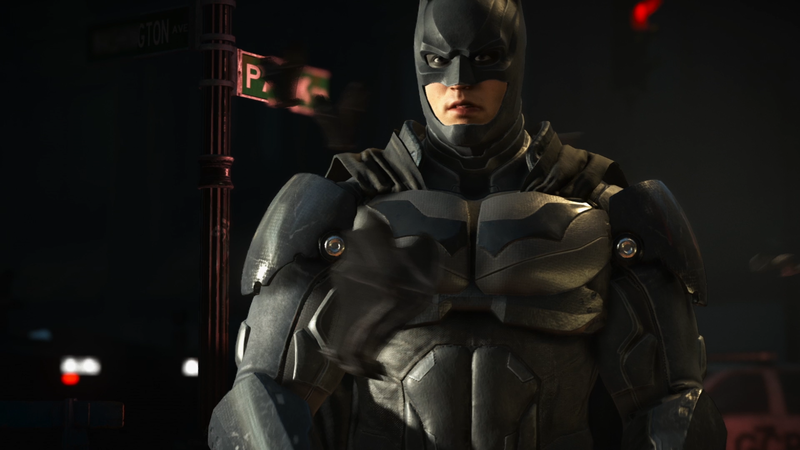 Injustice 2 is the textbook definition of a sequel – not much in the way of changing the game, after all, why would the fix that which is not broken? Instead Injustice 2 is just bigger and better. It all starts with roster updates – Harley Quinn has had a complete makeover, and with two playful pups (or big brutal dogs) to help her rip opponents to shreds. Deadshot makes a debut too, along with more heroes and villains that are yet to be confirmed. What’s so attractive about Injustice when compared to other fighters – ignoring the recognizable cast of beloved DC universe characters – is the visceral action of it, the brutality. Street Fighter and Tekken might have you pounding faces beating people to a pulp, but Injustice is visually brilliant. Harley Quinn’s new super involves her precious pooches, playing fetch with them before they set themselves upon your opponent, doing more than just baring teeth. Stage transitions continue this trend – and don’t the stages just look incredible? It’s clear the extra horsepower of the new systems has gone in to making Injustice look more visually thrilling than ever before. Triggering a stage transition is a glorious feast for the eyes, as one player gets bounced off of buildings, thrown out of windows, hit by trains… It makes Dead or Alive look tame by comparison. Another addition is more environmental interaction with the stages – this was also present in the first game, but to a far lesser degree. Now the background has chairs, punching bags and more which you can often grab in order to use them against your opponent. Throw a chair, slam a pillar into them, blow them up with something – and what’s lovely is that characters will interact with the objects in a way which suits their unique personality. Of course Superman will be able to use his brute solar powered strength, while Batman uses his smarts and equipment to get the upper hand. Something I noticed while playing is that now the super meter can also be used to perform an evasive move or to escape your enemy’s combo early, which is nice. There’s a whole other host of new features that couldn’t really be explored in a brief hands-on, though, starting with the Gear System. Injustice 2 is already promising a wonderful ride, that’s for sure. Gorgeous graphics (though the developers have elected to still use the customized Unreal Engine 3 already seen in Mortal Kombat X) and impeccable gameplay combine to make one hell of an excellent fighting game that should make established titans of the genre nervous. Injustice 2 is scheduled for a launch early next year on PC, PlayStation 4 and Xbox One, with mobile ports for iOS & Android following some time afterwards.